So when my phone started blowing up with texts from far and wide asking what was going on/what was happening/WHYGODWHY/Why should she do that and UC texting unintelligible things like ZOMGROmKirstncheeteosjhasisdj!!!!!jn!_!! I knew Twitter would be a mess and MAN did it not disappoint. We’re talking a 2009 era explosion among the fandom. I saw people who hadn’t tweeted in years come out of the wood work to weigh in, Nutty Madam was confounded, the fandom Glitterati came out in force to share their thoughts! To say it was/is spectacular is an understatement. We hadn’t seen this much creativity and hilarity in months. Thank you fandom Gods for seeing to it that we got Christmas in July and that I wasn’t half way across the world when it happened. Since the story is still developing and since we couldn’t let you miss out on a single moment, we’re going to be bringing you all the best from Twitter and around the nets all day. 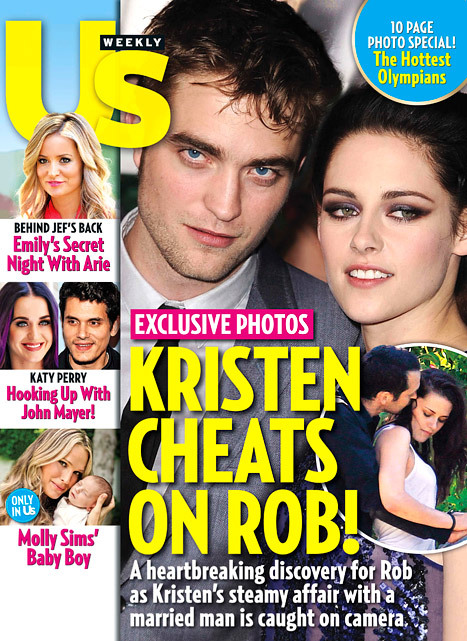 Stay tuned here for a the best of the best in Krupbert-Robsten-gate. She was careless. Her popularity will plummet. She has jeopardized sequels to SWATH & put BD at risk. No studio will want her. And with a director? Oh god. AND WE KNOW SHE HATES HEELS! somewhere out there, michael angarano is having a pretty good day. Follow us on @letter2twilight on Twitter (or just look at our page if you’re not a member!) for the latest…. There’s too much goodness to keep posting & I realllyyyyy have to work!